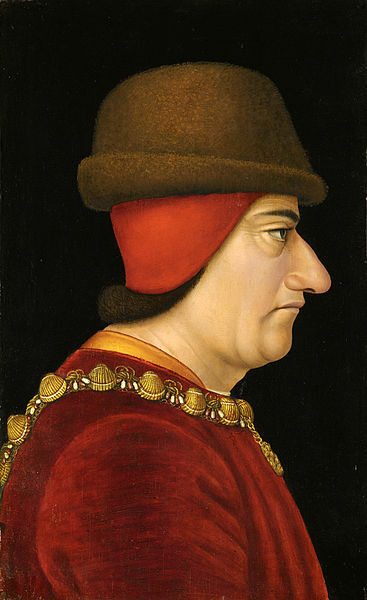 King Louis XI’s administration and consolidation of his kingdom and his flair for diplomacy earned him the sobriquet of “the Prudent”. But his favorite pastimes were plotting and conspiracy. He even earned the names “Cunning” and “Universal Spider” due to the webs of intrigue he would spin around Europe. It seems he was never happier than when he was planning his next scheme. The Dauphin Louis was born about three o’clock in the afternoon on July 3, 1423 at Bourges. He was the son of Charles VII, King of France and Marie of Anjou. Due to the weakness of his father’s hold on the kingdom of France, there was internal strife at the time of Louis’ birth and Bourges was threatened. 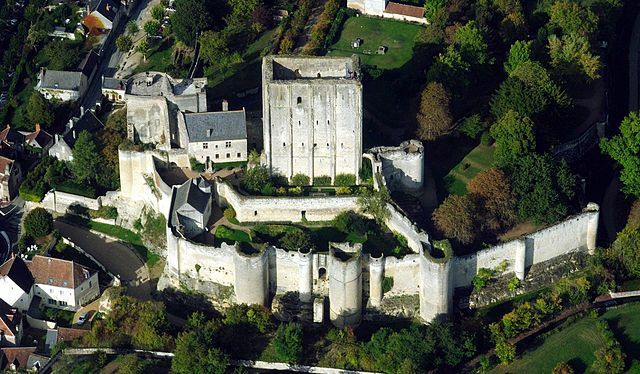 Charles was worried for the safety of his heir so he had Louis transferred to the walled castle of Loches in Touraine when he was two. Louis was to live here in isolation until he was ten years old. When Louis was six, a program of instruction was drawn up laying out Louis’ education. Louis studied history, rhetoric, Latin grammar, mathematics and music. When he was not studying, he would practice horseback riding, and how to handle weapons like the bow and arrow, lance and sword. He never acquired a taste for jousting however. In his home away from court, he learned to live as a simple man among simple people. No fancy food or clothes or quarters for this prince. Because he grew up away from parental love, he found affection from pets like dogs, birds and other exotic animals. In 1433, there was increasing political instability that affected the King’s court and Louis went to live with his mother and sisters at Amboise. He was finally treated according to his rank as Dauphin of France. While there he learned how the kingdom had fallen into chaos, constantly at war with England in a conflict called the Hundred Years War. He learned how a group of unaffiliated soldiers called the Écorcheurs were burning and pillaging the countryside forcing the peasants to run for their lives. He became aware of the weakness of his father, whose inability to harness the power of the French nobles added to the instability. When Joan of Arc claimed her victory at Orleans in the spring of 1429, Louis’ father had finally been crowned King. But the humiliation and shame of his father’s rule had made an impression on Louis. In the summer of 1436, Louis had his first public appearance on the world stage. The occasion was his marriage to Margaret Stewart, a daughter of King James I of Scotland. His father did not come to greet the new bride on the first day of the ceremonies and on the day of the wedding, Charles arrived and attended the wedding service in his riding clothes and leggings. He didn’t even remove his spurs. It was a public, blatant insult to Louis. By the age of sixteen, Louis was willing to conspire with other disgruntled nobles to take over government of the realm. Louis would join the Duc de Bourbon, the Duc d’Alençon and others in open rebellion in 1440. Their objective was to capture King Charles and replace him with Louis. The plot failed and Louis was forced to submit to his father. The rebellion was known as the “Praguerie” because a similar rebellion had broken out in Prague, Bohemia around the same time. Louis did manage to negotiate a better income and partial control of the Dauphiné from King Charles. In 1441, Louis began a succession of various fighting campaigns for his father and eventually took his place on the King’s council. Peace with England was made but the Écorcheurs were still ravaging the French countryside. Louis was chosen to marshal these seasoned soldiers to go fight the Swiss. Louis performed his duties impeccably and was planning on more conquests when his father recalled him back to court. He was to remain there, isolated and withdrawn. 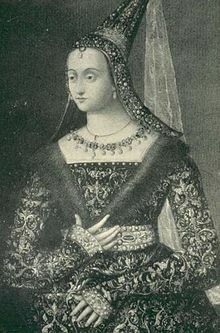 The Dauphine Margaret died unexpectedly in August of 1445. Until the end of 1446, there is very little on record of Louis’ whereabouts or activities. He then emerges, plotting, scheming, and looking for support and some kind of employment. He finally gets permission from his father to go to the Dauphiné to receive homage and to try to further French interests in northern Italy. By 1450 he had done all he could in the Dauphiné and was looking to marry again. He requested the King’s permission to pursue Charlotte, the daughter of the Duc of Savoy. Permission was refused. Louis sent an embassy to Savoy anyway, signed a contract and married twelve year old Charlotte in March 1451. The marriage was not to be consummated until Charlotte was older. Louis was now in direct conflict with his father by disobeying his orders and marrying against his will. Through the years 1454 and 1455, Louis and Charles argued back and forth, each trying to assert his own will. Eventually King Charles raised an army and was going to attack Louis in the Dauphiné. Louis fled to the court of Philip the Good, Duke of Burgundy where he stayed until his father died in July of 1461. While he was there he had a good opportunity to investigate and analyze the personalities of Duke Philip and his son Charles, Count of Charolais. This in depth study would serve Louis well when he became King and Charles became Duke of Burgundy, the mortal enemy of Louis. When King Charles VII died, Louis hastily returned to France. He was crowned at Reims in August of 1461 and then made his state entry into Paris. He quickly went to work, organizing and centralizing his government. Through diplomacy and his royal will, he set about securing the French county of Rousillion and the region of Cerdagne, made an alliance with Francesco Sforza, made overtures to the Earl of Warwick and settled with the English, and regained part of northern France and the Somme towns. He also managed to provoke fear and mistrust among the French nobles. Louis didn’t act like a king. He didn’t keep a magnificent court but stayed on the road with a small retinue, constantly riding on horseback. He dressed plainly, usually in hunting garb so he could leave the road and hunt when the fancy struck him. He would sup with peasants and avoid official welcomes in towns by turning off the main road on arrival. He would sometimes work, hunt and ride simultaneously. He left Queen Charlotte and her servants in the castle at Amboise and would visit her when it suited him. For the most part he was faithful to Charlotte. They would have two daughters, Anne and Jeanne, and then a son, Charles, born in 1470. Because Louis was self-sufficient as a monarch and didn’t rely on the usual mechanisms of government and the aristocracy, the French nobles began to feel threatened. They were forming an alliance to rise up against Louis. Some of the most powerful men in the land, including Louis’ own brother, the Duc de Berry, were gathering troops to attack. They formed the League of the Public Weal, using the excuse of helping the people of France when really they were only fighting for their own interests. Louis himself raised an army but did all he could to avoid a pitched battle. The nobles, including Charles, Count of Charolais from Burgundy, met Louis at Montl’héry early on July 16, 1465. There was fierce fighting and Charles was injured. But Louis felt defeat coming and actually stole away from the battle site. Charles claimed a hollow victory. Louis made his way to Paris and the nobles followed beginning a siege of the city. The siege did not last long. A truce was called and Louis and the nobles negotiated a settlement. From the spring of 1466 to the spring of 1467, Louis went into a self-imposed exile. He was ruminating on what he had done right and wrong in his fight with the nobles. In 1468, Charles, Count of Charolais became Duke of Burgundy on the death of his father. He was in the midst of his wedding celebrations, marrying Margaret of York, in the first big event of his reign as Duke. Louis was threatening to attack and take the towns along the Somme which Charles had won in the aftermath of the League of the Public Weal. Louis didn’t really want war and agreed to come to Péronne to negotiate peace. The settlement was signed in November of 1468. In 1470, Louis was to become very ill. He had suffered from hemorrhoids for twenty years and had a violent attack of the disease along with a high fever and headaches. He was barely recovered when he rode out to meet the English Earl of Warwick and made a truce, one of his most cherished goals. 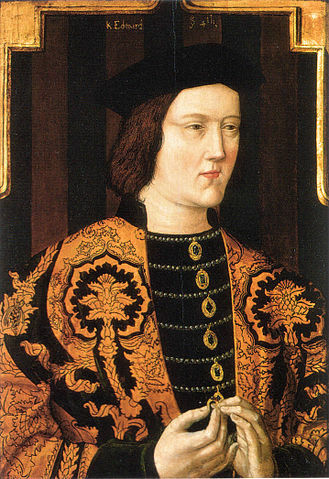 Warwick and Louis plotted to overthrow Edward IV and replace him with Henry VI which Warwick did. Louis’ union with the English angered Charles the Bold, Duke of Burgundy and he accused Louis of breaking their Péronne peace agreement. In the summer of 1472, Charles raised an army and attacked France, taking several towns and laying siege to Beauvais. The siege was a disaster for Charles due to the bravery of the men, women and children of the town. Louis never really engaged Charles in pitched battle. Charles became frustrated and finally agreed to a truce with Louis that was to last until April, 1473. In 1473, Louis was fifty years old, balding and suffering from illness. He was becoming less tolerant and perhaps a bit paranoid. 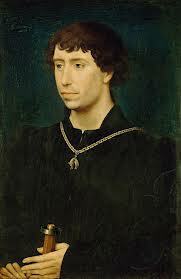 He began attacking the towns along the Somme and other places in an effort to frustrate Charles the Bold. In 1475, King Edward IV of England decided to renew the Hundred Years War and brought the English army to France. Louis again raised his own army but had no intention of fighting. He ended up skillfully negotiating with Edward and signed the Treaty of Picquigny, essentially paying Edward huge sums of money and an annual pension which the English called “tribute”. Soon after the English departed France, Louis concluded a nine year peace with Charles the Bold in September of 1475. This left Charles free to pursue his quest for a kingdom by attacking the Swiss and the Duchy of Savoy. Louis was gradually blocking off Franco-Burgundian trade with the Low Countries, stifling Charles’ ability to raise funds to keep fighting his wars. In January of 1477, Charles the Bold died in battle at Nancy. By February, nearly all the lands along the Channel and the towns in Picardy had surrendered to Louis’ representatives. The Duchy of Burgundy and the County of Burgundy agreed to reunion with the kingdom of France. Arras capitulated to Louis and he besieged Hesdin. Louis went on to take city after city. Eventually, Charles’ daughter and heir Mary of Burgundy and her new husband, the Archduke Maximilian of Austria sued for peace. Louis had gained the Burgundies, Artois and a good part of the region of northern France which he had won back from Charles the Bold. Louis’ mortal enemy, Charles, Duke of Burgundy. He was known as Charles the Bold or the Rash. Peace was made and Louis never went to war again. Louis was master of France. The three estates of the commons, the churchmen and the nobles were all subject to the crown. Louis had broken the power of feudalism. Industry flourished throughout the kingdom and the crown was collecting sufficient taxes on a regular basis. He continued to ceaselessly hunt but tried to travel more by water due to ill health. In February of 1481, he suffered what appeared to be a cerebral hemorrhage and then was stricken again in September. By now he had withdrawn and did not appear in public. In April of 1482, he emerged to make a pilgrimage to a shrine in Burgundy and then traveled to the Loire to stay at Cléry, shut away until September. 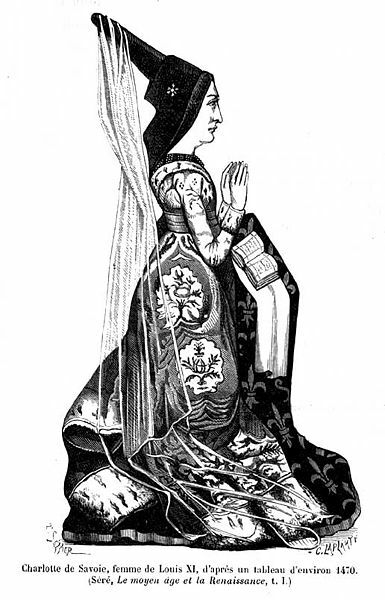 Duchess Mary of Burgundy died after falling from a horse in March of 1482. Louis negotiated a treaty with her husband Maximilian which was sworn to by Louis and his son Charles in January of 1483. Louis was now living in isolation in a fortress, fearful his authority would be taken from him. On Monday, August 25, he suffered another hemorrhage. On August 30, he called for the final sacraments and died between eight and ten o’clock that evening. He was buried in the Church of Our Lady of Cléry on September 6th. His wife Charlotte passed away on December 1 of the same year. Louis’s tomb was destroyed during the religious wars of the sixteenth century. The church still remains and Louis’ skull still endures as a relic.